These medium sized lizards reach lengths of 2-3 feet from snout to tail tip with males being on the longer side. Their whip like tail offers both balance and defense (tail whipping) similar to the Green iguanas. 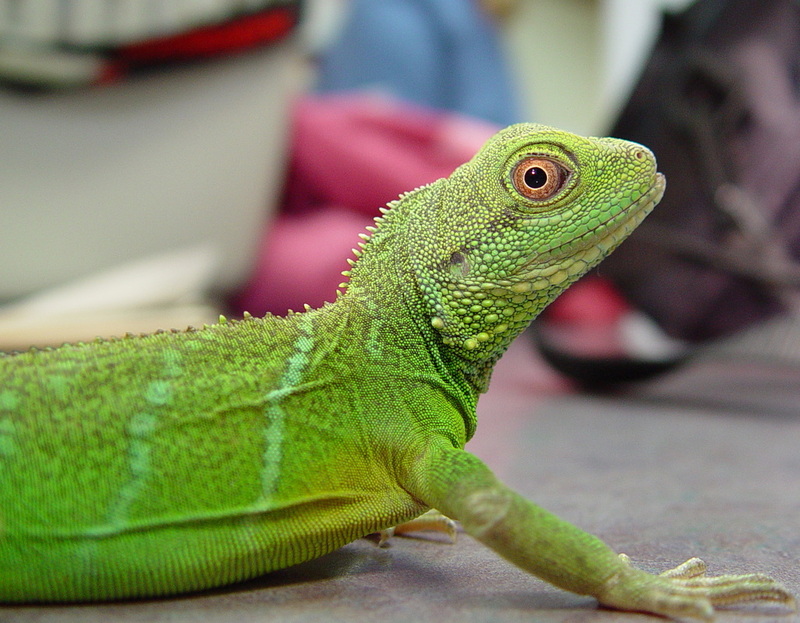 Chinese water dragon hatchlings are commonly mistaken for Green iguana hatchlings. Both hatchlings average around the same size of 5-6 inches long and sharing similar characteristics. The throat of juveniles and adults are yellow, orange, or a pinkish color that iguanas do not have. A dark stripe extending from the corner of the eye to the ear is also another species marker. Adults, once mature, generally have a dark green to bright mint green color with a pale green or white underside. Males, generally have a prominent nuchal crest and mid-saggital crest (along the back). In captivity, water dragons have been known to live 10-20 years.